Available in 3 different sizes: 70x70x73h cm, weight 28kg / 80x80x73h cm, weight 30kg / 90x90x73h cm, weight 33kg. Available in white or anthracite and further RAL colors with supplement. Orione is an elegant extremely robust square table. Made entirely of aluminum, it is practically unassailable from salt and atmospheric agents, moreover, thanks to its very large base, guarantees excellent stability. 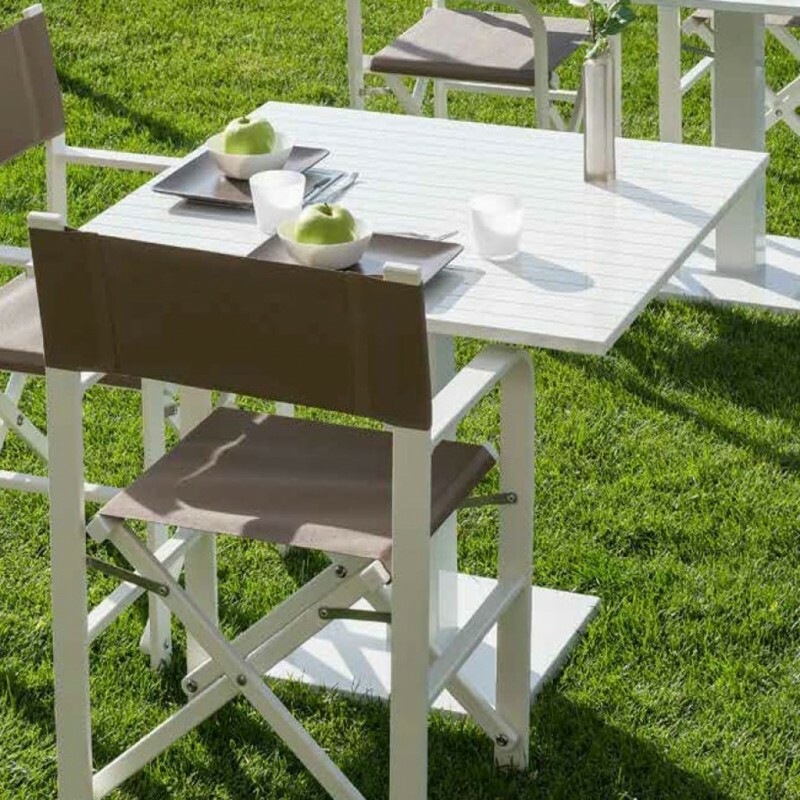 Ideal table in any context, for interiors or exteriors, however given its structure, It is perfect mainly for outdoor use, as for gardens or terraces, but also in contract projects such as for bars, cafes or outdoor restaurants. We recall that Orione can be accompanied to the elegant Fedra or Calipso chairs. Articles visible below in the related products.